Open to the public. An RSVP would be appreciated. 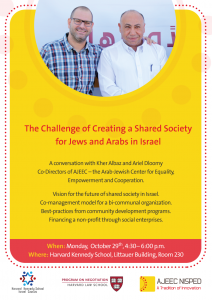 Join us for a conversation with Kher Albaz and Ariel Dloomy Co-Directors of AJEEC – The Arab-Jewish Center for Equality, Empowerment and Cooperation. 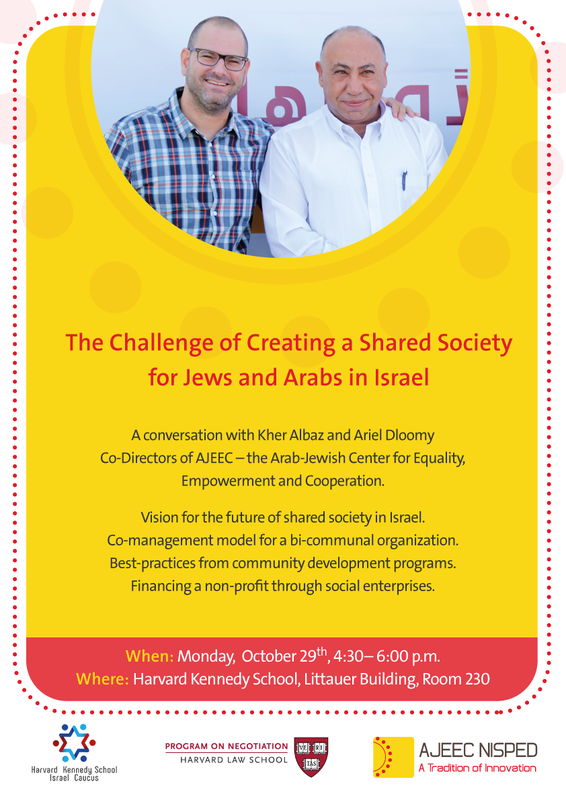 They will discuss a vision for the future of a shared society in Israel; co-management model for a bi-communal organization; best practices for community development programs; and financing a non-profit through social enterprises.